Bolsover Home Grown Fruit Preserving Company. Top. Photograph. ANB. 'Home Grown'. Many Thanks to Michael Farrow. Bottom. Carr Vale Jam factory. Original Railway Plans from cloth originals show Factory. (All photographs copyright the author A.N. Bridgewater). The site has now been demolished to make way for a housing development by Gleeson Homes. Built late in the 1890’s and sited on a siding in the yard of Carr Vale Station the factory had the best location to utilise local transport in and out by the railway. It had as much water as it needed from the local water supply of the Bolsover & District Water Company formed in 1904. Local fruit was grown and as demand grew fruit was imported from other growing areas including Lincolnshire and surrounding areas. Coal was in plentiful supply locally and was turned into gas to fire the boilers in the boiling room from the Bolsover Gas, Light and Coke Company, electricity was supplied by the Bolsover Urban Council and sugar was imported from Nottinghamshire and Lincolnshire beet growers. Labour in the form of women was also in plentiful supply from coal mining families of Bolsover, Carr Vale & New Bolsover. 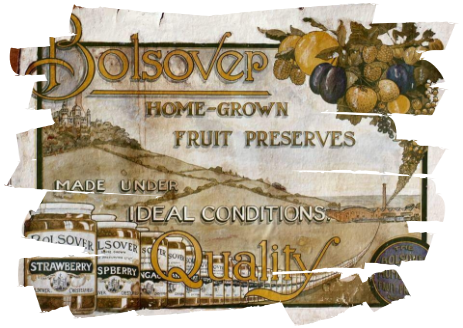 Although fruit production was seasonal vegetables were canned in later years giving the seasonal work an extension. Produce was sent out of the factory to local shops but one can postulate that this trade may have been nationwide and possibly worldwide wherever the need for this type of produce was needed. 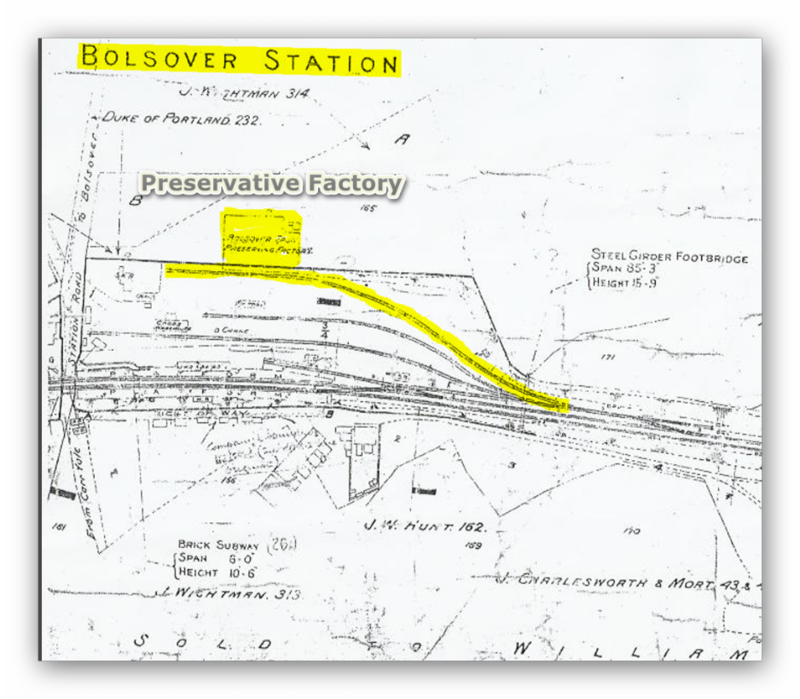 During the two World Wars the tins, jars and bottles of Bolsover preserve would have been a welcome sight to ‘our boys’. All manner of fruit and some vegetables were processed but many locals I have spoken to remember with affection the summers when the strawberry jam was being produced as the sweet smell of the cooking strawberries was everywhere in the air around the factory. The factory was run by Sidebothams at one stage and they had a series of delivery vans operating from the factory when the railway closed in the 1950’s. Upon closure in about 1959 the factory was purchased by Walker & Hall Master Cutlery makers from Sheffield. They produced many types of flatware or cutlery including silver plate and it may well have been this firm that extended the factory to its present size. Until total closure in 1995 Mercol Products Ltd. Used the site, they then moved to Grassmoor and the site was boarded up and demolished for a housing development in the Autumn of 2007.. It would appear that the Jam Factory was built in stages, the plan above showing the first early phase housing the gas powered stainless steel vats with the offices looking into the cooking area. Roof lites provide natural light from the sun to illuminate the work area. To the right the roofs are slate tiled. Water is collected from the roof area and finds its way out of holes at the side of the roof. Note the platform to load the produce onto the railway which ran alongside the unit. Cast iron stanchions hold up wooden joists to support the roof. The later building possibly to house further machinery to can, bottle and fill jars as the factory expanded its sales. It might be however that it was built later after the jam factory closed. I will let you know about that. On the 1938 O.S. Maps this building is not shown. It does appear on the 1962 O.S. Maps. Through the round window, not so much light needed now in the new building. Cast iron struts and bars hold up the domed roof of timber planking with a felt weathered top. Offices were built around the same time as the rounded roof building. The offices 2007 prior to demolition. On the 1962 Ordnance Survey map a building is shown here, whether or not it is this one remains to be seen. IMAGES OF DERBY DERBYSHIRE NOTTINGHAM NOTTINGHAMSHIRE OLD AND NEW (Opens in a new window). Boiling up the fruit in stainless steel vats. Walker & Hall had the site in the 1960's. Beginning life in the mid 1800’s Walker & Hall were one of the largest manufacturers and retailers of silver and plate flatware or cutlery from the late 19th Century and first half of the 20th Century. Their products can be found with London, Sheffield and Chester hallmarks on them. The original partnership, including George Walker, (Walker & Co.). Henry Hall joined the partnership in 1848, and the firm was renamed Walker, Coulson & Hall, before becoming just Walker & Hall in 1853. Walker & Hall Master Cutlery makers from Sheffield took over the Bolsover Home Grown Fruit site at Carr Vale upon closure in about 1959-1961. They produced many types of flatware or cutlery including silver plate and it may well have extended the factory to the size it was prior to demolition in the winter of 2007. The head office was at 9 to15 Howard Street, Sheffield, the firm was one of many Sheffield Master Cutlery firms and was established in 1845 and made Electro Plated Nickel Silver (EPNS) and electro-bronzed flatware and tableware. The 'Flag' trademark was registered in 1861. The firm combining later in 1963 with Mappin & Webb and Elkington to form British Silverware Ltd., which lasted until 1971. Walker & Hall was later revived as a retail firm selling cutlery under the old name. The name is still used for retail outlets, although they were taken over by Mappin & Webb in the 1960’s. They were top quality machine-made producers of all major flatware patterns and canteens and their products are easily recognised by their distinctive W&H mark within a flag. Presently canteens of their cutlery are being sold second hand world wide and command a large price due to the quality of the cutlery. 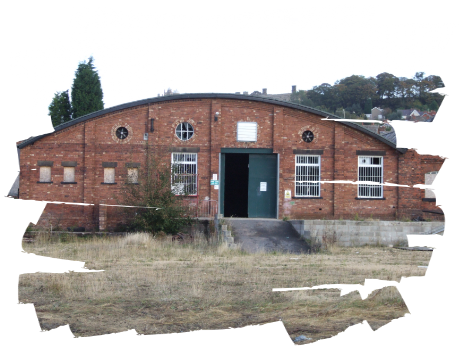 THE FACTORY BEFORE DEMOLITION IN 2007.
and appear on this site courtesy of ‘IMAGES OF DERBY DERBYSHIRE NOTTINGHAM NOTTINGHAMSHIRE OLD AND NEW. The rest are all Copyright A.N. Bridgewater 2015.